By now we all know that Dhamaal boys, Riteish Deshmukh, Arshad Warsi and Jaaved Jaffrey would be seen in the third instalment of the franchise Total Dhamaal. But with the addition of Ajay Devgn, Anil Kapoor, Madhuri Dixit, and Esha Gupta interest for the film was further heightened. However, we hear that the wait for the film has just gotten longer. In fact, reports state that the release of Total Dhamaal that was set to hit screen in December this year has been pushed. If what we hear is true then the makers of Total Dhamaal have decided to push the release of the film from December 2018 to February 2019. Though it still is unclear why the maker of Total Dhamaal have rescheduled the release of the film, reports state that the film might have been pushed due to the current scenario with the #MeToo movement picking up steam. On the other hand while an official announcement of the new release date is awaited, certain other reports also claim that the shoot of the film is running a little behind schedule and might take longer than expected, and hence the delay in the release. Well, whatever be the case, our sources confirm that the new release date will be in February 2019. Now confirming the delay in the release of Total Dhamaal, Ajay Devgn took to the micro blogging site Twitter saying, "December date with you’ll looks challenging, but still keeping my Feb date! Due to extensive VFX work, Total Dhamaal will now release on 22nd Feb and De De Pyaar De moves to 26th April." BREAKING: Cheat India won’t release on Republic Day weekend; to now release on January 18? 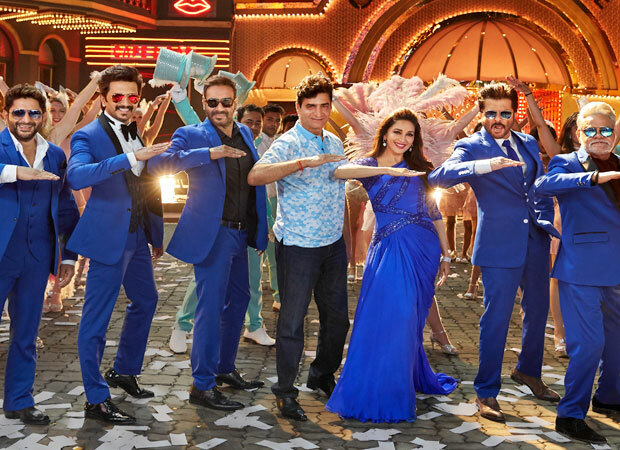 Total Dhamaal Box Office: BIGGEST Start Ever For A Comedy Film On A Non-Holiday, Scores Many Records!